Wrinkles, age spots, and sagging skin are some of the visible signs of skin aging. Cleansing and applying creams and moisturizers may not be enough to reverse these signs. Fortunately, there are other solutions to keep your skin’s vibrant and youthful glow, like having facial rejuvenation in Fayetteville, North Carolina. What Is Facial Rejuvenation in Fayetteville, NC? 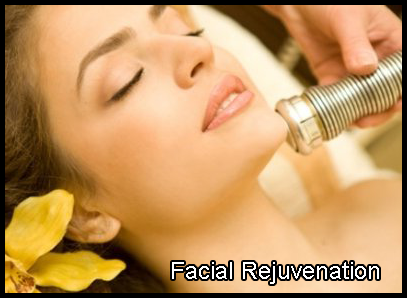 Skin rejuvenation in Fayetteville, NC is designed to give your face a more youthful appearance. You can choose from surgical or non-surgical methods of facial rejuvenation in Fayetteville, North Carolina. Surgical facial rejuvenation in Fayetteville, NC includes brow lift, eye lift, facelift, chin lift, and neck lift. Meanwhile, non-surgical skin rejuvenation in Fayetteville, NC are Botox®, laser resurfacing, and dermal fillers, among others. Several factors may contribute to premature skin aging, such as exposure to the sun and lifestyle. Fortunately, there are treatments, such as facial rejuvenation in Fayetteville, North Carolina, that can help keep your skin young-looking. It loses elastin, which may cause sagging. Bruises may easily occur due to weaker blood vessel walls. Luckily, there are ways to maintain a youthful look, such as getting skin rejuvenation in Fayetteville, NC. Eliminate wrinkles and sagging on your skin through facial rejuvenation in Fayetteville, NC. Too much sun exposure can damage elastin in the skin, which causes sagging and stretching. It can also cause the skin to heal longer. Using sunscreen may help protect your skin from sun exposure, but this may not be enough to fight the signs of skin aging. You may consider reliable procedures, such as skin rejuvenation in Fayetteville, North Carolina. Skin damages caused by acne, injuries, and stretch marks can also be fixed through skin rejuvenation in Fayetteville, North Carolina. Stress and lack of sleep can weaken your immune system, which may result in cell damage, dull skin, and stress lines. Getting adequate sleep can help cells regenerate and give you a more youthful appearance. You may also consider facial rejuvenation in Fayetteville, NC if you think stress and lack of sleep have taken its toll on you. Skin rejuvenation in Fayetteville, NC will give you a more youthful and vibrant appeal with dead and tired skin removal. Cigarette smoke emits free radicals, which contributes to premature skin aging. Smokers tend to develop more wrinkles compared to non-smokers. If you’re a smoker, find ways to get rid of this habit to control skin aging. Living a healthy lifestyle can help you maximize the benefits of facial rejuvenation in Fayetteville, NC. Undergoing skin rejuvenation in Fayetteville, NC will just go down the drain if you continue to smoke. So, make the procedure count. Dr. Celia Mendes uses platelet-rich plasma (PRP) skin rejuvenation in Fayetteville, NC. A 100% natural procedure, PRP skin rejuvenation in Fayetteville, North Carolina utilizes a patient’s blood components to help repair tissues in various areas, such as neck, hands, body, and face. PRP facial rejuvenation in Fayetteville, NC involves using extracted blood platelets and a variety of growth factors, which will be injected on concerned areas. The injection will stimulate the growth factors to fix damaged tissues. PRP facial rejuvenation in Fayetteville can also help produce collagen and hyaluronic acid. Restore your skin’s youthfulness, elasticity, and volume through PRP skin rejuvenation in Fayetteville, North Carolina. Are you considering having skin rejuvenation in Fayetteville, NC? Dr Celia Mendes can help bring back that youthful look through skin rejuvenation in Fayetteville, North Carolina. Don’t hesitate to call or email us for a consultation about skin rejuvenation in Fayetteville, NC. Check out our website to learn more about our services, including skin rejuvenation in Fayetteville, North Carolina. People of all ages have specific conditions that they need to address. Whether it’s a matter of skin care, beauty enhancement, or gynecological care, you need an expert to give you what you need. At Dr Celia Mendes, we offer a wide range of cosmetic and gynecological services. With our help and removal expertise, you can maintain your youthful appearance and receive the surgical or non surgical attention you need. In 2001, Dr. Mendes decided to branch out to gynecology. The following year, she managed to make her dream of starting her own medical practice a reality. By this time, she pursued her longtime interest in cosmetic surgery and treatments. After training and receiving certifications for surgical and non-surgical cosmetic procedures, she eventually incorporated these treatments in her medical practice. With her perfectionism and genuine concern for her patients, Dr. Mendes manages to provide excellent results for every procedure she does. She understands what you are going through and can deliver what you need while maintaining a gentle and caring approach for all treatments and every surgery.